There is just not any single reason or cause for any war, and the complex interpersonal relations and interests between the nations and societies over genuine or trifle issues lead to any war anywhere over the world. Dwindling resources, population explosion, economic issues, brinkmanship and one-up-manship amongst societies, religions, and nations are the end reasons of conflicts world over. Indian economy is Monsoon oriented. Good Monsoon means bumper crops, higher industrial output, lower inflation, and higher GDP and also the higher amount of snow in the more upper Himalayan glacial region that water our rivers round the year. As of now 25% of the Indian population and 254 out of 678 districts in the country are hit by drought. Due to poor Monsoon in preceding years, our rivers have lesser water and due to climate changes and soaring temperatures the ecological disaster is leading to the Himalayan glaciers’ faster melting disrupting the optimised natural supply of water. The Central government has handed over states with Rs 12k crores as draught aid, and disaster management plans are ready to fight the drought. It is ironic that 10k litres of water for Union Agriculture Minister Radha Mohan Singh’s visit to drought-stricken Bhiwandi was wasted to create a temporary helipad! Likewise, it is a shame that in severely drought affected Bagalkot district; water tankers were used to dust-free road the Karnataka Chief Minister visit to overview draught situation. In another bizarre incident the Maharashtra State Water Minister Munde was castigated for taking selfies while reviewing drought relief work! This shows how much India has progressed on good governance preachings of PM Modi across the party lines. Rivers are the lifelines of the civilisations world over to flourish or perish along with rivers. Agriculture will be in the center of any future water wars and water will become petroleum in the next few decades. Starting with the Indian subcontinent, I discuss the major trans-border river water war flashpoints world briefly over. Ten major rivers flow from China to eleven countries. Also, China has a scarcity of water much needed for its superpower growth, and it has developed technology to build faster and cheaper super hydro-power dams to meet its power and irrigation needs and to control the floods. Three such dams it is building on Yarlung Tsangpo River or Brahmaputra River in the Tibet Autonomous Region (TAR). So, China holds Asia’s water tap tightly in its control leaving all downstream countries in the constant fear of water war(s). The 2,900 km long, the Brahmaputra River is an important river in South Asia. Originating from Angsi Glacier in Tibet it flows from southern Tibet and into Arunachal Pradesh where it is known as Siang or Dihang. Flowing through Arunachal and Assam valley, many local rivers merge in it as it enters due south in Bangladesh where it is called Jamuna (not to be mistaken by Yamuna River in India). It merges with Padma (Ganga River) and finally Meghna, emptying itself in the Bay of Bengal. It is navigable in the Assam and Bangladesh plains and is the lifeline of the Northeast and Bangladesh. It is highly vulnerable to massive flooding both in India and Bangladesh. The Brahmaputra River enters the Indian state of Arunachal which the Chinese contest as the part of the Tibet Autonomous Region (TAR). China has been constructing many supersize dams in Tibet over the Brahmaputra River to divert water to Tibetian desert plateau and generation of electricity. Since the area is in the high seismic zone, a severe earthquake could result in damaging the dams and flash flooding the entire Northeast region of India and Bangladesh. Also, during the heavy Monsoon, China would release water to flood India and Bangladesh. Likewise, during the lack of Mansoon, China will not release water in the river causing draught like the situation in both the Northeast region of India and plains of Bangladesh. China has not entered into the serious discussion to address this tripartite issue and sign an amicable agreement with India and Bangladesh in sharing and managing the Brahmaputra River water issue that could be a flashpoint for future war(s) between India and China. India and China had a long drawn dispute over the International Border between both the countries and fought a major war over it in 1962. Both are emerging world economies although in the last eight years the Chinese GDP is the lowest in the current year while India at 6.9 % is the fastest growing economy in the world. So the river water along with peace and tranquility on borders matter a lot for India’s growth and regional security. It is hoped during the recent bilateral visits and meetings between the top leaders of India and China, besides resolving the intricate border dispute with his counterpart, he would have raised India’s concern over the Brahmaputra River issue too as India’s major foreign policy initiatives and both sign a treaty along with Bangladesh less they become flashpoint for conflict over the need, strategic importance and shortage of water in the region. India and Bangladesh (erstwhile East Pakistan) share the water of 54 big and small rivers, but out of them the Ganga and the Teesta Rivers are the most important ones. The 2525 km long Ganga River or the Ganges is the most sacred and highly polluted lifeline of India. Originating from the western Himalayas in the Indian state of Uttrakhand, it flows east through Indo-Gangetic plains entering Bangladesh and emptying in the Bay of Bengal. Many rivers like the Yamuna and tributaries confluence it making it as the third largest river by discharge. The dispute between India and East Pakistan over the sharing of the Ganga water arose when in the 1960s when the Indian government decided to construct a barrage at Farakka, close to Indo- East Pakistan border to augment water for the lean period and poor Monsoon and augmenting water of the silted Hoogly River based Kolkata Port. Till the liberation of Bangladesh, it was a flashpoint for war between two hostile neighbours India and Pakistan. After the liberation of Bangladesh, an agreement was reached between India and Bangladesh and a Treaty on the sharing of Ganga water between India and Bangladesh was signed on 12 December 1996 on sharing water during the lean period but Bangladesh keeps accusing India that scarcity of water has led to poor agriculture adversely affecting its economy, while India often negates Bangladesh charges as baseless. With Sheikh Hasina, who is India friendly, as the PM, all delicate and intricate issues between the two countries would be amicably resolved. Due to the unnatural division of both India and Pakistan, both countries have fought four wars over Kashmir and friction over rivers’ water conflict exists perpetually that can act as flash point(s) for future war(s). Six major rivers namely the Satluj, Beas, Ravi Chenab, Jehlum and the Indus flow from India to Pakistan and form the Indus River Water System and aptly world’s oldest civilisation ‘The Indus Valley Civilisation’ is named after them. Pakistan fears that India in upstream areas is constructing dams to control the flow of water to Pakistan. During the lean period, water supply to Pakistan would be minimised while during heavy rains in catchment areas Pakistan plains would be flooded. 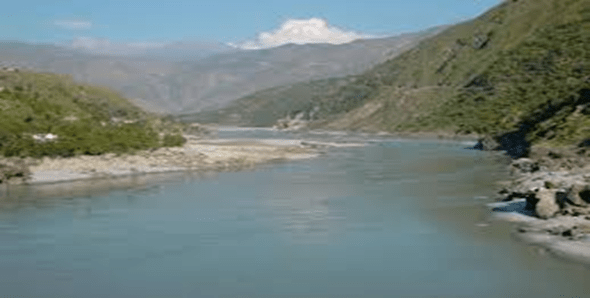 Both countries over protracted dialogue signed the Indus Water Treaty in 1960 that gives control of 3 eastern rivers of Beas, Ravi, and Satluj to India while three western rivers of Indus, Chenab, and Jehlum came under Pakistan’s control. This was the best treaty signed by two hostile neighbours, but with water becoming a scarcer and scarcer natural resource, climate changes, mounting population, poor economy, and GDP makes Pakistan more suspicious of any dam or canal constructed by India upstream of the western rivers for hydropower and irrigation purposes. In 2005 Pakistan objected construction of 450 MW Baglihar Dam but lost the case before World Bank. In 2011 both countries went to the International Court of Arbitration (ICA) over India’s 350 MW Kishanganga project in Jammu and matter is pending before the ICA. Though, the ‘blow hot, blow cold’ relations between both the countries are not conducive to peace in the region, as India alleges Pakistan sponsored terrorism in J&K and Punjab in particular and the rest of the country in general, it is in their mutual interests to resolve all such irritants for peace and tranquillity in the region. Afghanistan has Kabul River which originates in Hindukush and joins Khyber Pakhtunkhwa in Pakistan largest tributary is 480 km long Konar River joining Kabul River at Jalalabad. India has undertaken several hydropower dams for generation of electricity and irrigation in water-scarce Afghanistan much to the uneasiness of Pakistan. What Iran and Pakistan want from Afghanistan is ‘WATER” as both countries depend on river basins that flow from Afghanistan which Afghanistan poorest of the poor, war-torn landlocked country can ill afford to give, making it another flashpoint for river water wars. The Shatt-al-Arab (Arabic) or Arvand Rud (Persian) is a small 200 km length of a disputed river formed by the confluence of Euphrates and Tigris whose southern end constitutes border between Iran and Iraq two fierce neighbours at wars more often than not over centuries. This area holds the largest date farm forest in the world. Conflicting territorial claims and disputes over navigation rights were the major factors of 8 years long war (1980-88) between the two nations. 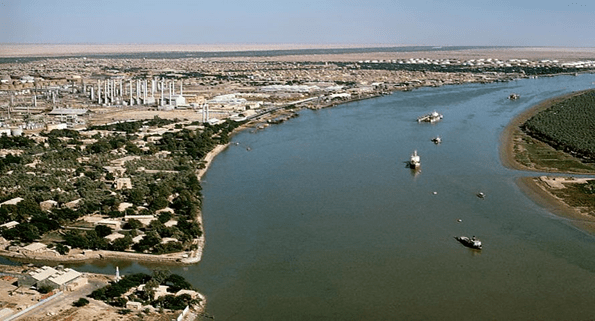 Abadan with its refinery and Khorramshahr are the two Iranian cities while Basra Port in Iraq is situated on the banks of this disputed river. Both Israel and Palestine have long outstanding water dispute. To let its desert bloom, Israel diverted the River Jordan half a century ago, east and southwards towards the Negev desert, via a canal called the National Water Carrier that has left the Dead Sea dry and the River Jordan a muddy stream for Palestine. Behind the significant stories of brutal slaughter as Sunni ISIS militants carve out a religious state covering Iraq and Syria, there lies a brutal battle for the water supplies from the major dams that control the region’s two great rivers, the Tigris and the Euphrates to sustain the population in the vast desert. There are fears ISIS or rival militant groups destroying these water sources thus letting poor people perish with heat and thirst. The Jordan River means a lot for Israel and the Palestinians and for decades water wars have been fought amongst Iraq, Syria, and Turkey as the rivers are seen not only as lifeline sources of water but as strategic targets. The ISIS has often accused the Turkish government of deliberately holding back water from the Euphrates River through a series of dams constructed in its territory, thus denying lowering water supply in the Lake Assad. ISIS contemplates that if the Turkish Government does not resolve the water issue, they would be forced to liberate Istanbul. The 6700 km longest river in the world the Nile River (Arabic Baḥr Al-Nīl or Nahr Al-Nīl, River), flowing through 10 northeastern African countries is subject to numerous political upheavals and wars. Ancient Egypt claimed it had exclusive rights over the water of the Nile. It has maximum use of its water resources. Sudan is the next most extensive user of the Nile. Numerous treaties and agreements had been signed in the past overusing its resources. Lately, Ethiopia has started storing vast quantities of Nile water to generate electricity and irrigation, and water war has intensified between Egypt and Ethiopia. However, it is heartening to know that leaders of Egypt, Sudan, and Ethiopia have an initial deal to end a long-running dispute over the sharing of Nile waters and the building of Africa’s biggest hydroelectric dam, in Ethiopia. Hope the peace and agreement are lasting or else it could be a significant flash point of war northeastern African countries through which the Nile River runs. It is a vital means of transportation during floods. 6400 km in length, Amazon is the largest river of Latin America running through Ecuador, Colombia, Peru, and Brazil. Lately, its water is being stolen, and huge tankers are filled to transport water to Europe and the Middle East where it is bottled and sold while Latin America is experiencing successive devastating droughts. Each tanker carries 5 hundred million gallons of water. The water shortages in the future may lead to wars over water. During the decades of 1950/60 1950s and ’60s, there were several disputes between countries over water that threatened to erupt into all-out wars. Also, water became a strategic target in both the Korean and Vietnam wars. Agriculture and farming were in the middle of almost every one of these disputes because so much water is used for irrigation to raise crops to feed hungry masses. It takes 100000 liters of water to produce 1000 kg of grain and agriculture consumes almost 70 percent of the world’s water. Water will replace petroleum products to be the cause(s) of war(s) in the future if involved countries do not resolve water issues with their neighbours. A pretty exhaustive article on the likely wars due to water scarcity in the future. The author has covered nearly all the important rivers of the world and the ongoing disputes. Was left more knowledgeable after going through the piece though I would have liked the Author to list out if there were other means to sort out the future water disputes besides wars.